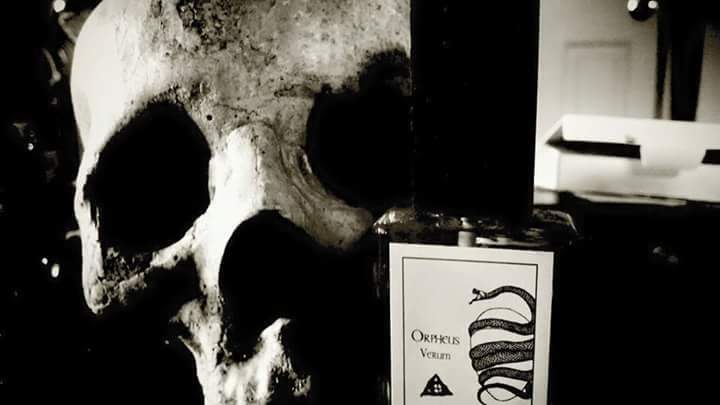 In all my years practicing, learning and writing about the occult arts I have never paid for more than a book. For decades, teachers were willing to take me on without payment as I did the work they assigned me. I might have to consider myself lucky as it is only now, after 25 years, I am beginning to pay for classes, training and conferences in which to participate, in turn expanding my magickal skills. But what IS the cost of knowledge? Nothing in this world is free, even magick. When we cast a spell there is time, energy, knowledge, supplies and all the accouterments which have some sort of payment to be made. There are some who believe because lessons or lectures are given of a spiritual nature, there should be no price tag attached… somehow it taints what is being given. This is simply not true. If it is of real value, why should it be free? In some ways charging for services is a way of weeding out time wasters and dabblers… those not willing to do the necessary work who will often not pay as it means not just time wasted, but money as well for not being a participant. Either that or they drop out, giving up on the training altogether for lack of trying, being so far behind they can never truly keep up, or they go running out the gate so hard in an effort to impress they burn out fast. My tour of online training began in realizing how far removed I am from anyone else who practices the Arte of Magick. I live in a very remote location, surrounded by wild and untamed desert, a desolate place beauty perfect for accessing Hekate. However, I had also become somewhat stagnant in my practice; no matter how much I kept it up there was not the same quality as before. My mind needs a challenge, as well my spirit; my progress often moves forward when faced with adversarial or fresh perspectives. Of course, I chose to only take courses offered by teachers I found to be with a reputed high quality history, relatively well known and a background similar to my own. It was only by coincidence that these teachers were all men...I have a history with that anyway, which I plan to explore at a later date. I took the first step last fall by enrolling in the Golden Dawn Academy, sponsored and structured around the Open Source Order of the Golden Dawn’s system of initiation. I was already familiar with much of the material, having studied with the class instructor Sam Webster for several years. Zoom allowed for everyone to have a live video stream, giving the feeling of a true interactive classroom without problems and complaints of bandwidth or echoed voice streams. Whilst we had access to an email forum, my only real interaction with classmates (around 20-30 of them) was on class dates, live-streaming. All sessions were recorded, with 2 dates a month; priced $40/month for 6 months with a break for the holidays...it was well worth the cost. I got a lot more insight into Qabbalah, a topic I have much averted and avoided over my magickal career. I do not feel it necessary to my practice, but as I delve into more grimoire traditional workings it will become a useful general subject for me to understand the background of. Learning about the rituals and meanings behind them was interesting, but not really necessary as I am solitary these days. And really, lodges are all about group work. Having experienced some of the rituals put forth by the Open Source Order of the Golden Dawn I understand the potency of it, but not the practicality. This is just my personal opinion and how I am adjusting it for solitary magcik by circumstance. Jack Grayle’s course with the Woolston-Steen Theological Seminary, “Hekatean Devotion and Magic in the Hellenic World” consisted of 7 weekly meetings, readings and assignments which heavily explored Hekate in Her most ancient and traditional forms. 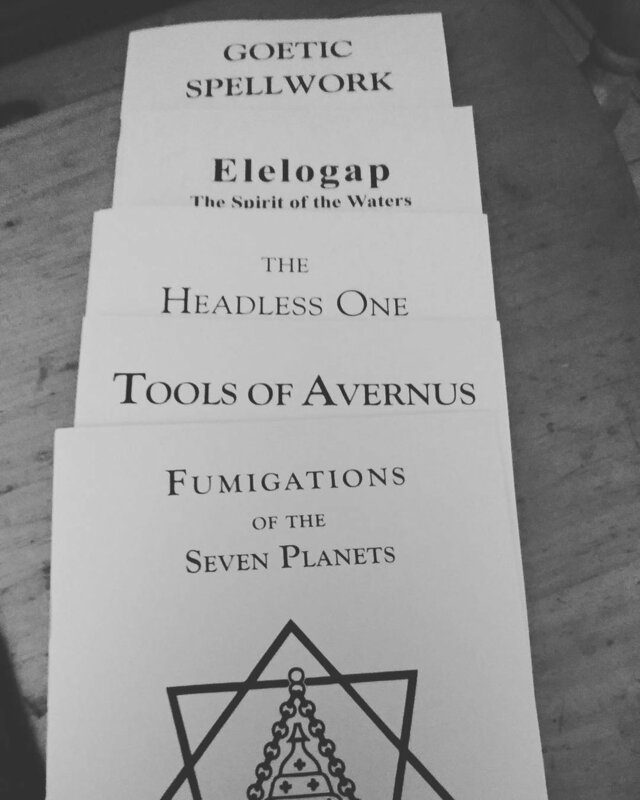 Having been only a guest for these classes, I did not have to fully participate…but found I had already done the majority of these during my personal Hekate praxis over the past 8 years; which in a way was very confirming. Creating a iynx wheel, or “whirly gig” as he called them, was one such project…I even wrote about the experience. Another was in the creation of focal points of worship, some call them altars or shrines. Much of the reading included excerpts from classical texts, well-known and beloved modern books about Hekate, and a sneak peek at the author’s upcoming title: “The Hekataeon” to be published by IXAXAAR this winter. While most of the subjects covered were well known to me already, including works from the Greek Magical Papyri and the Chaldean Oracles, it was refreshing to hear such support of modern practices based in ancient ones. So many people in the Hekatean community have cobbled together what little information there actually is available, with the lines between archaeology and UPG getting blurred. Grayle was very careful to give credit in a proper historical context and also modern adaptations. He even tackled the post-modern imagery of Hekate the Crone, a topic most books and teachers tend to steer clear of. If I had paid for the class, I would have felt the assignments were a great way of getting feedback on my progress, with a gentle approach to adjustments Grayle is a very laid back teacher who puts forward the data and allows the students to glean what is useful. The best part was the section on Yahweh and Hekate, from a Sethian Gnostic current. I was very unfamiliar with this, even having a degree in Religious Studies has kept me from further study of Christian thought in Pagan practices. I tend to stay far away from anything of this vein, but was highly interested in understanding the ‘doing’ just to intellectually satisfy this curious part of me. The only real complaint I have was the format from which it was offered. Not being a student of the Seminary school I had to go through many hurdles to get added to the class roster, install software that made it compatible with their custom forums (including some from Microsoft which might make it more difficult for Apple users), and using the antiquated Skype for Business application which made it so only the instructor could have a live video feed. Healthy skepticism is needed at every step on our paths through magick. Researching instructors, talking to past students and being sure the money is right for the value you expect of a class’ support/information given should all be examined carefully. I have been given the chance for making enough money to which I can easily afford to spend on classes, travel to conferences from time to time, and buying supplies I cannot source myself. This is the culmination of years spent in devotional practice and witching blessings into my life. The opportunity has presented itself, and so I take it. In this, my 11th episode, I share some of the my favourite witchy women in music. It is the week of my birthday and I will do as I please.